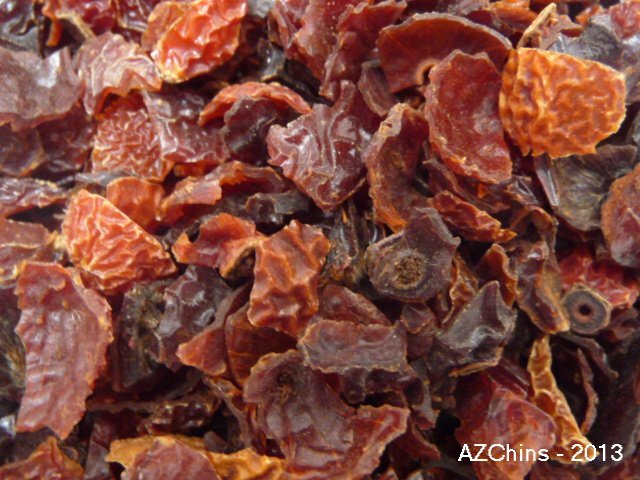 AZ Chins: Rose Hips - a favorite chin treat!! Crunchy Rose treats high in Vitamin C! Crushed/ Sifted Rosehips Product Name: Whole Rosehips and Crushed/Sifted Rosehips. Description: Rose hips are a favorite with chinchillas. They are slightly sweet and crunchy and chins LOVE to chew them. 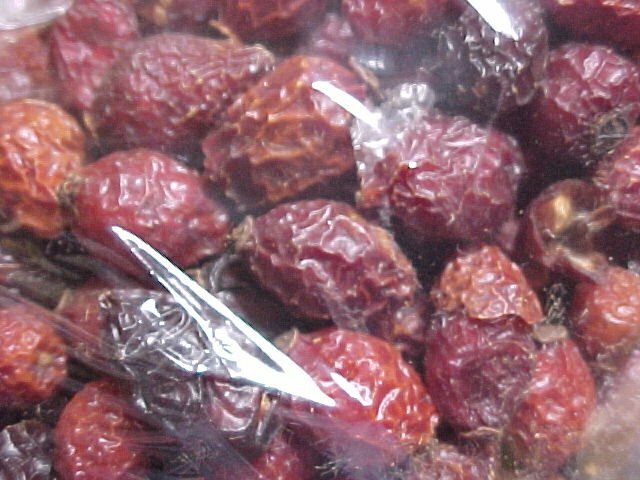 Rose hips aren't as sweet as raisins and have less moisture so they are much less likely to interfere with proper digestion and cause any digestive issues. They are also high in vitamin C. Even though they are better than other treats please remember that your chin needs JUST ONE TREAT A DAY! Give one whole rosehip for a treat or sprinkle up to 1/4 teaspoon of crushed on pellets or give in a separate dish. Crushed rosehips have been sifted to remove most of inside contents that the whole rosehips still have inside.